Vawn Himmelsbach has been writing about travel for more than a decade for media outlets such as CBC.ca, Metro News, Flare, Sweet Travel, PlanetEye Traveler and Hotelier, among others. She is co-founder of Chic Savvy Travels, a travel website for women, has contributed to a guidebook on China, and has been published in a book of non-fiction, called Emails from India. 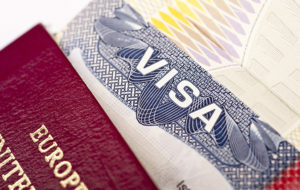 She has spent more than three years working and traveling abroad in Asia and Latin America. 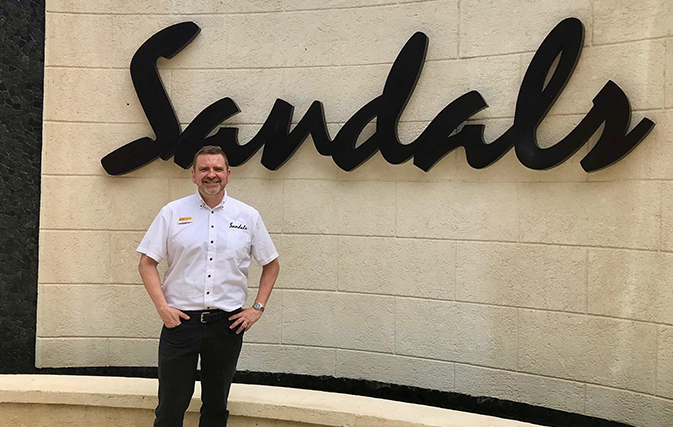 MONTEGO BAY — Agents now have more options for booking groups — including social groups — with Sandals Resorts, thanks to a group code option, expanded meeting spaces and perks for clients. While couples-only Sandals is known for romance, the company is also promoting its properties for meetings and social groups, along with weddings. A ‘social group’ is any group that doesn’t qualify as a wedding or corporate incentive. This could range from sports (tennis, golf or scuba diving) and themed trips (culinary, wine or spa), to birthdays, reunions or groups of friends travelling together, according to Grant Lawlor, National Groups Manager with Unique Vacations (Canada), the worldwide representative of Sandals Resorts and Beaches Resorts. With group code, room blocks are not held; space and rates are not guaranteed until booked and deposited (and it’s not applicable to incentive groups). A contract guarantees the rooms are held out of inventory and the room rate is guaranteed once booked. However, if an agent wants a contract for five rooms, Sandals requires a 10% deposit (and a tour operator requires a non-refundable deposit for every room). With social groups, the magic numbers are five and three: a five room minimum and three-night minimum stay. The group must overlap for three nights, but some can come early or stay longer. This option can help an agent “look like a hero to their clients,” said Lawlor. Social groups receive a private complimentary group dinner, a private complimentary group cocktail reception with hor d’oeuvres, and a group portrait session (however, only meeting and incentive groups have access to private group check-in). Always included is access to a guest arrival lounge at select airports, unlimited spirits and wine, resort-wide Wi-Fi and golf at select resorts with complimentary green fees (ideal for golf groups). Social groups also qualify for Sandals’ free room offer — the sixth room is free from September to Dec. 24, and the 12th room is free from January to August. A social group can divide the savings amongst themselves, but Lawlor also suggests agents organize hosted trips. For example, an agent can approach their local golf course and team up with a golf pro to accompany participants on the trip (and the golf pro gets the complimentary room). Or, a yoga instructor or chef can promote the trip to their clientele, and once five rooms are booked, the organizer stays for free. At Sandals, up to 20% of a social group could be made up of singles (so if 10 rooms are booked, two could be singles). “There’s definitely a market out there and a lot of groups will have one or two singles, whether it’s wedding or social,” said Lawlor. For family reunions, multigenerational groups or social groups with a lot of singles (say, a girls’ getaway), a group code could be applied at Beaches Resorts. Sandals has plenty of options for booking groups, with 15 Luxury Included properties throughout the Caribbean, including Jamaica, Grenada and Barbados. Customizable meeting and function spaces range from 500 to 10,000 square feet, and assistance can be provided for on-site activities, special group functions and team-building activities. For weddings, clients receive a certain number of bells and whistles depending on how many rooms they book. But clients can now choose which concession they’d like, rather than being told which concession they qualify for, “so it’s more freedom for the bride and groom to customize their wedding,” said Lawlor. 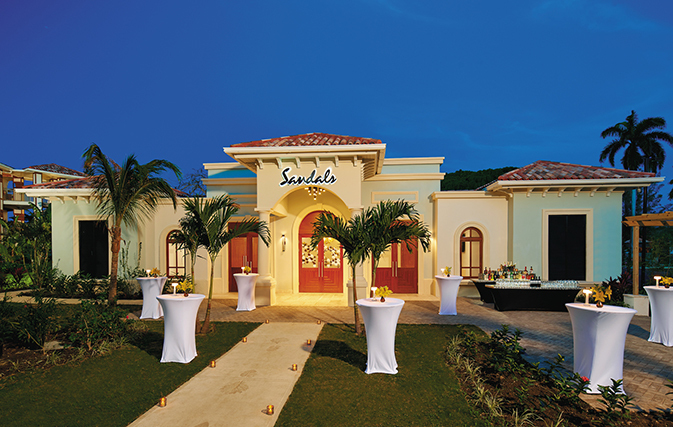 While Sandals has multiple properties in Jamaica, two have new offerings ideal for weddings and social groups. 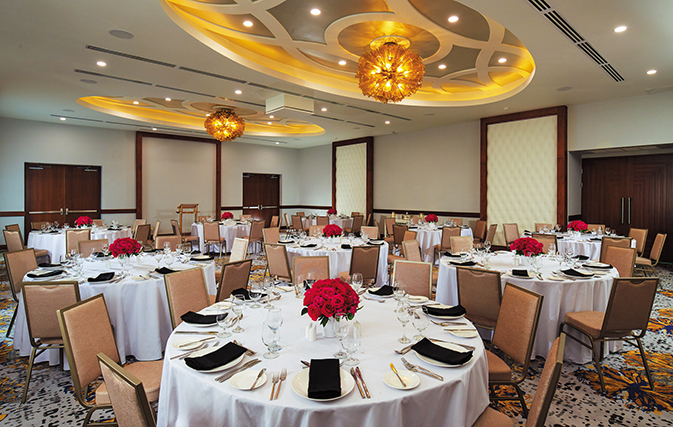 Sandals Montego Bay features a new weddings lounge with a bridal suite, newly renovated non-denominational chapel, and new beachfront swim-up honeymoon butler suites in the renovated Seagrapes building, as well as a new high-tech conference centre. 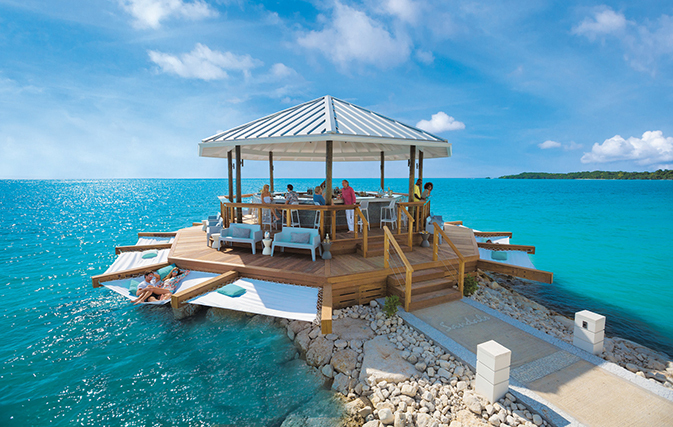 And Sandals South Coast features over-the-water honeymoon butler suites on Jamaica’s lush South Coast within a 500-acre wilderness preserve. Each room and suite overlooks the two-mile beach, and the resort offers 14,000 square feet of meeting and convention space including a three-level theatre and new Latitudes over-the-water bar.